General: Adjust appearance, import settings, and other general features. Sync: Set up data and file syncing. Search: Manage PDF fulltext indexing and see relevant statistics. Export: Set default settings for generating bibliographies and citations. Cite: Add, remove, edit, and preview citation styles and install word processor plugins. 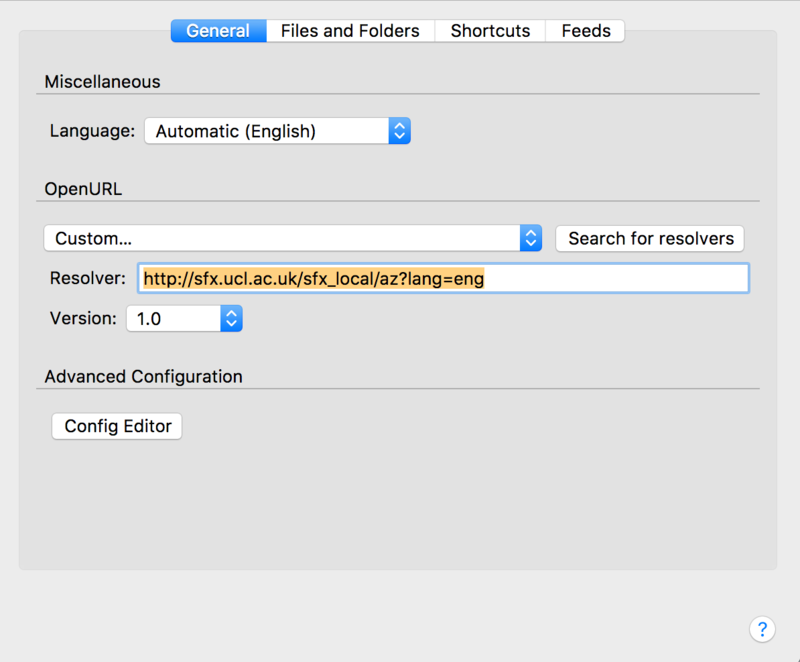 Advanced: Zotero data location, library lookup, and other advanced settings. 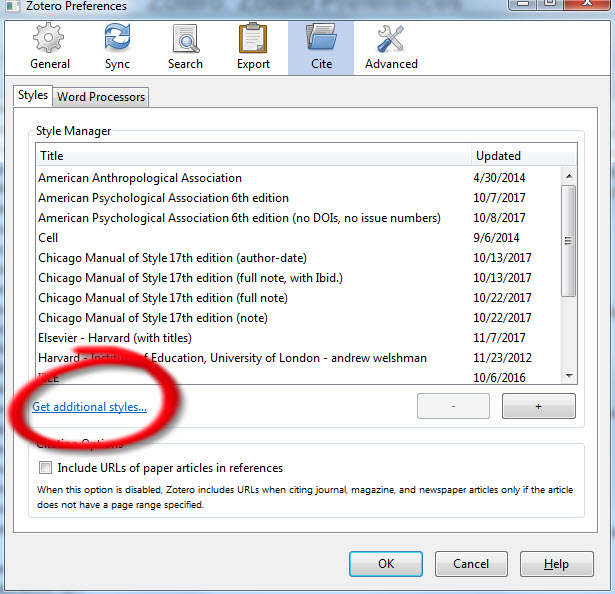 Follow the instructions below to se up the preferences - and do this before you start using Zotero. Only check this option: Automatically attach associated PDFS and other files when saving items if you want to attach full-text pdfs to the bibliographic record. This does take up space on your Zotero account on the cloud. 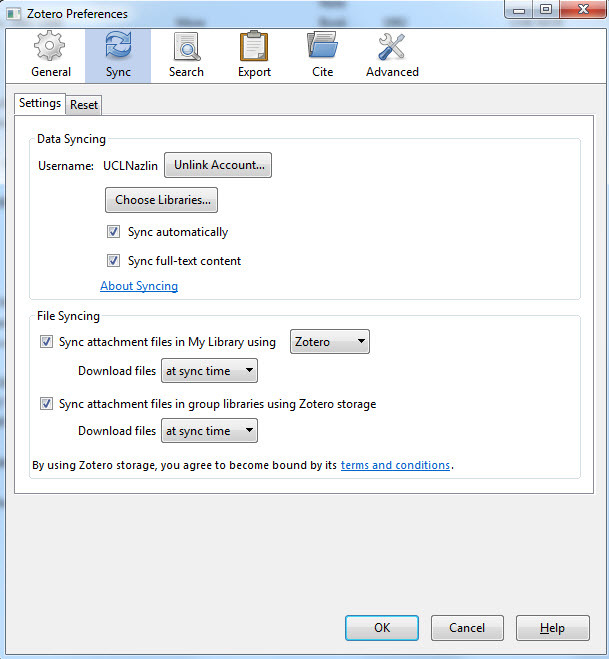 Syncing merges library items, notes, links, tags, etc.—everything except attachment files—between your local computer and the Zotero servers, allowing you to work with your data, i.e. 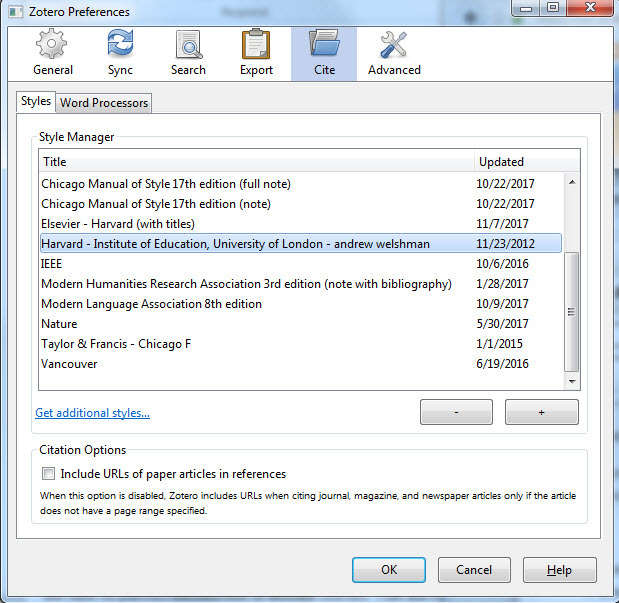 references, from any computer with Zotero installed. 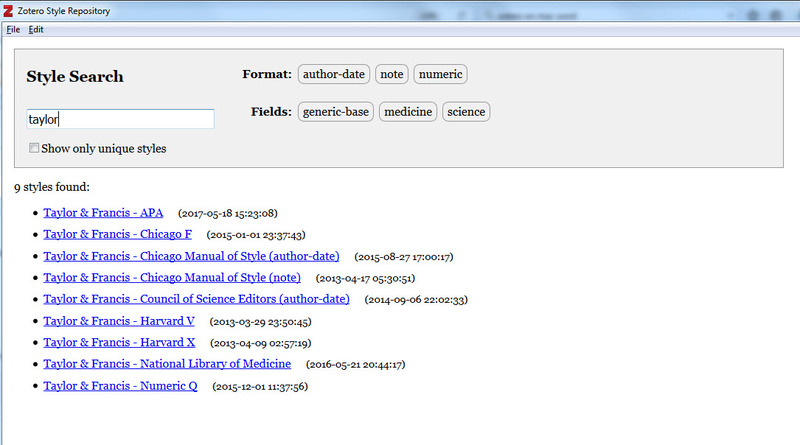 It also allows you to view your library online on zotero.org. Data syncing is free, has no storage limit, and can be used without file syncing. More information here. This opion enables searching within pdfs too. More on searching here. The settings on the Export tab allow you to choose which citation style you watn the references to appear in when you copy and paste to a document, web page etc. You can also get additional styles and some publishers have created styles for their journals. Check the 'Use classic Add Citation dialog'. This is a user-friendly option that allows you to more easily cite multiple references. 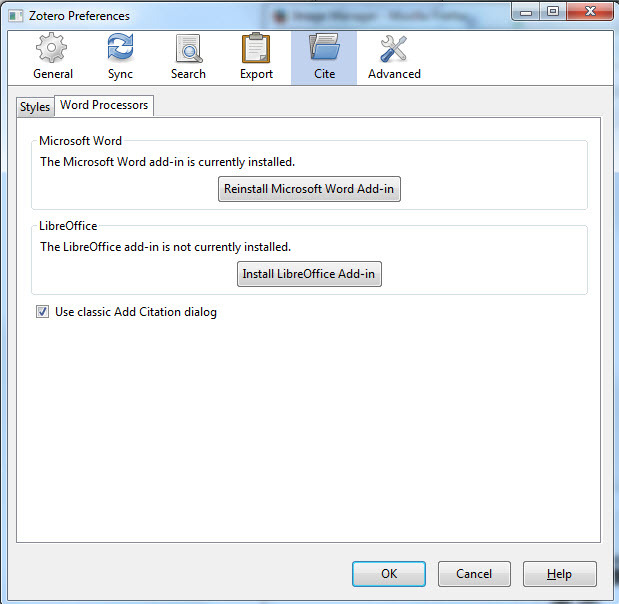 Open up Word and to see if Zotero is installed. 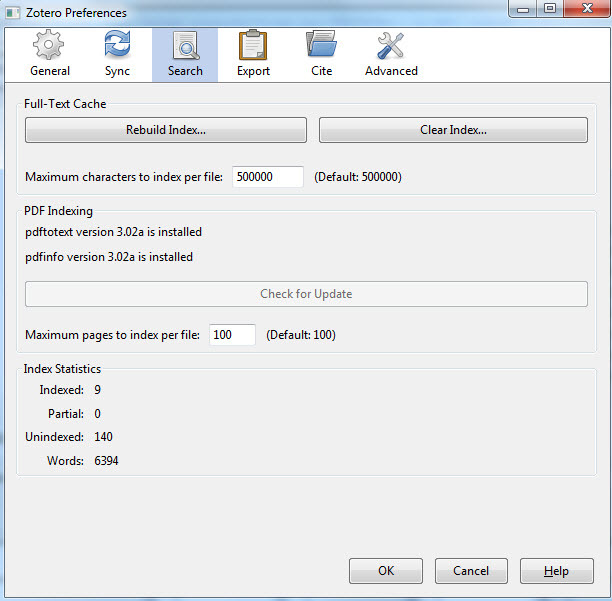 You can set up the 'path' which tells Zotero where (i.e. 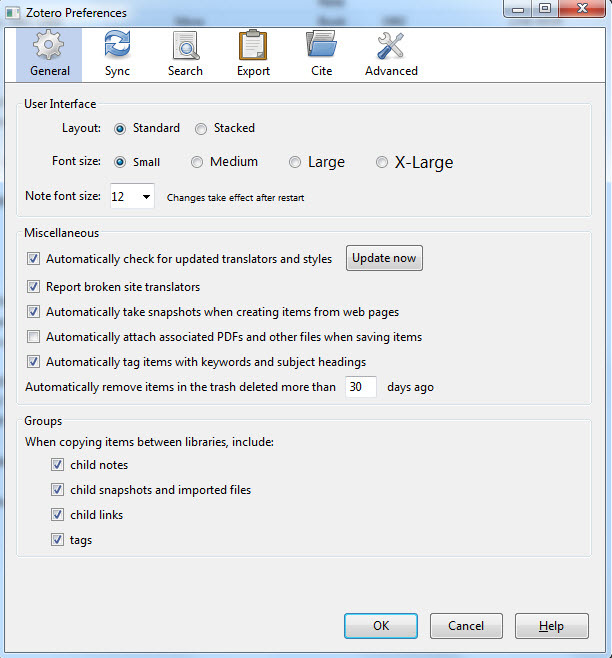 in which folder) you want to save the full-text if you are automatically attaching the full-text of the document.